The Christmas in July Bundle Sale has ended!! Thank you to everyone who purchased a bundle, and happy sewing! July is well underway which means it’s time for the second annual Christmas in July Pattern Bundle Sale! Get it before it melts! Once again I’m joining a fantastic group of pattern designers to bring you a Christmas in July pattern bundle, available for $25 for three days only. 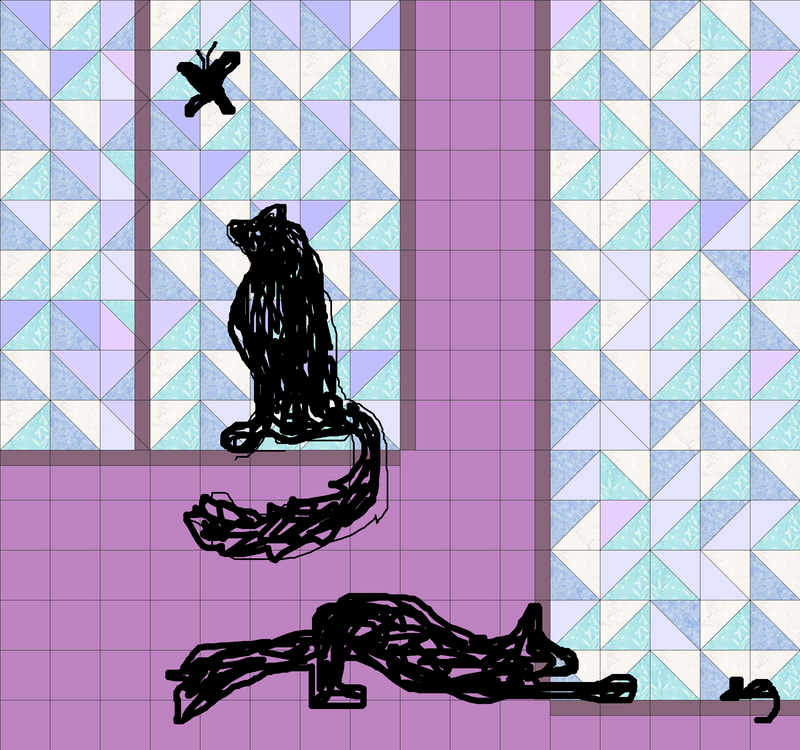 The bundle includes 23 diverse patterns as well as some great sponsor prizes. 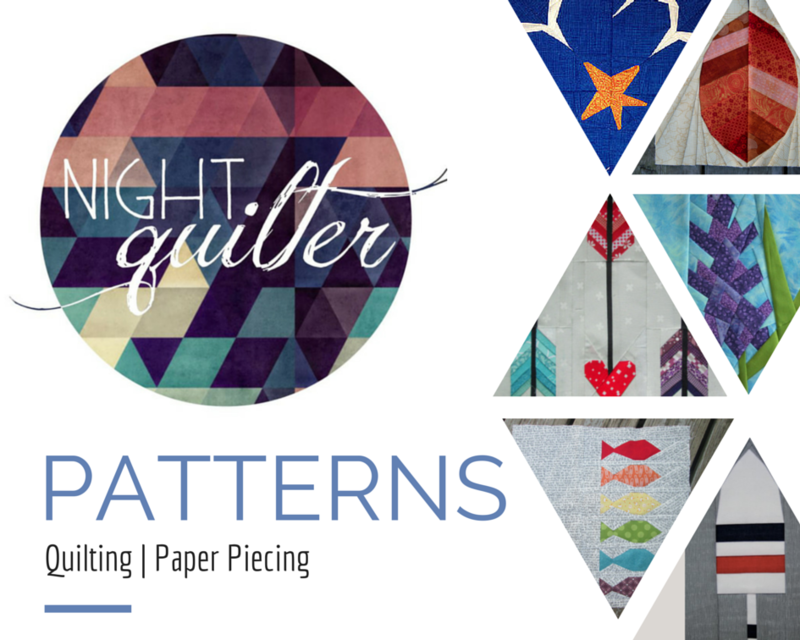 This year, my Constant Flux foundation paper pieced mini quilt pattern is included in the bundle, as well as a variety of other fantastic patterns by talented designers, both holiday themed and all purpose patterns great to have in your library. As a bonus, when you purchase the bundle through me, here, you will also get an exclusive Christmas version of Constant Flux, complete with additional pattern templates and fabric requirements to make stitching a Constant Flux Christmas wreath mini quilt easy peasy. Creating the Christmas Wreath version of the Constant Flux pattern is possible with the original pattern by combining necessary piecing segments as long as you have an understanding of how foundation paper piecing works, but the bonus pattern spells it out clearly. Be sure to get yours today, since this pattern will not be released individually until the snow begins to fall. 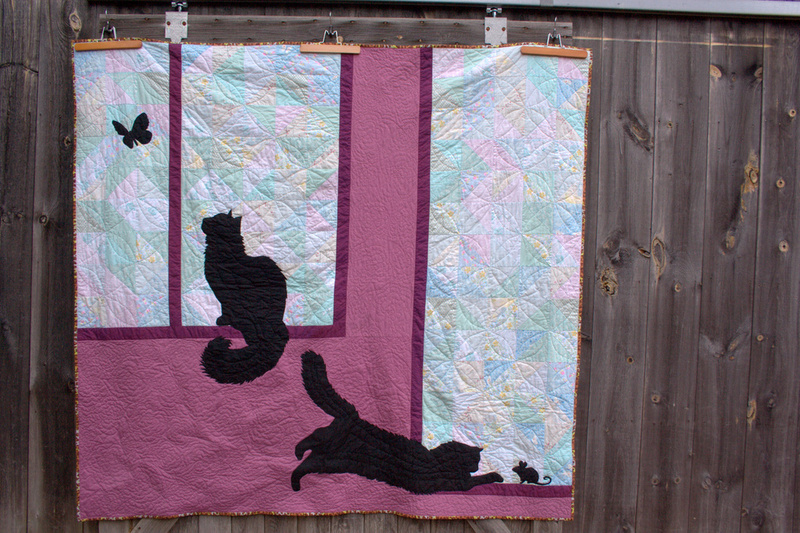 one entry to win a pattern bundle of Quilt Theory patterns. PLUS, as I mentioned above, if you buy the bundle HERE you also receive an exclusive Christmas Constant Flux pattern, which will give you plenty of time to sew up a wreath or two before the holidays! The bundle is available HERE and will only be live for 72 hours beginning RIGHT NOW! This sale runs from Monday 3pm EST until Thursday 3pm EST, so be sure to catch it now. Once you purchase this bundle, greatly expand your library of sewing and quilt patterns, and get sewing, please share your creations using #sewchristmasinjuly on social media. When you make your Christmas Constant Flux Wreath Mini quilt, please use #constantfluxchristmas and #constantfluxquilt. We would all love to see what you create! I’m still debating that middle green, but this pull will become a Constant Flux Christmas wreath mini soon! You may notice something new on my blog these days, and I wanted to write a quick post letting you know about it–I’m no longer including affiliate links in blog posts. It recently came to my attention that affiliate link payback is actually not permitted in the state of Maine, according to state regulations. That helps explain why I’ve never seen a return from the few Amazon and Sizzix affiliate links I’ve posted! Knowing that, I wanted to publicly announce that there will be no more affiliate links on this blog (and any that are already posted are obsolete). You can see my thoughts on sponsorship here, and the feelings I express are the same. 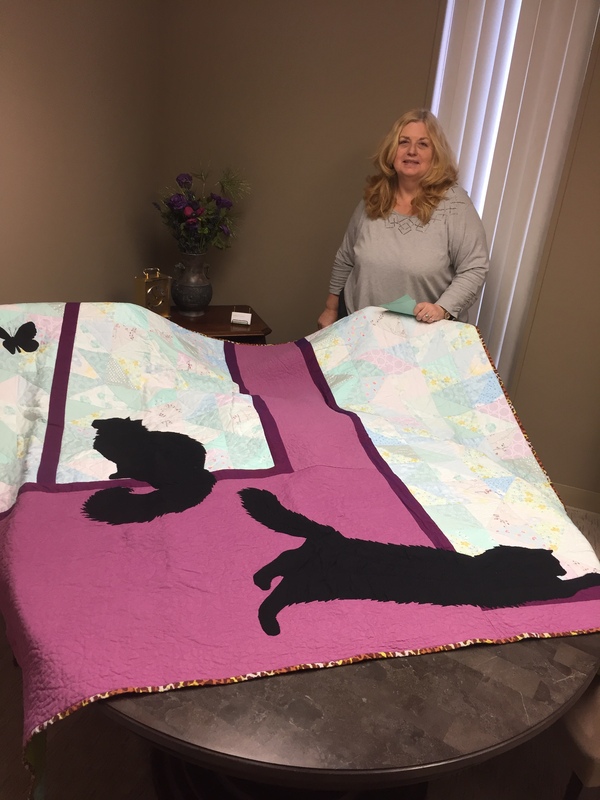 My number one goal with this blog is to share excitement, inspiration, and project ideas, as well as to create community among us like-minded quilters. I will still link to relevant products and services in my blog posts, since I truly think the links are helpful. If I am really enjoying using a certain tool, fabric, or service, wouldn’t you like to know how to try it yourself? I know I would. Now, though, your clicking through the link won’t kick any pennies my way. If you still want to support my making and blogging in a tangible way, you can purchase my patterns on Craftsy (if you live in the EU, please purchase through Payhip), continue to support my sponsors so that they want to continue working with me, and of course, continue to comment and share and offer the wonderful conversations I value so greatly. Thank you for joining me along my creative journey, and for sharing encouragement, support, inspiration, and friendship along the way! I’m excited to kick off the week by announcing a new sponsor: Fat Quarter Shop. 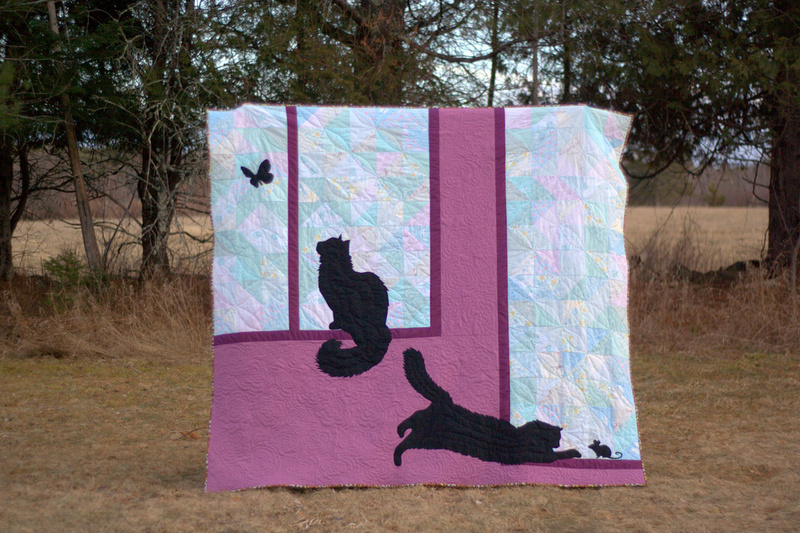 Many of you most likely know about this pinnacle online fabric shop that not only stocks a wide selection of fabrics, but also engages the community in a big way through free video tutorials and patterns, quilt alongs, block of the month clubs, and more. 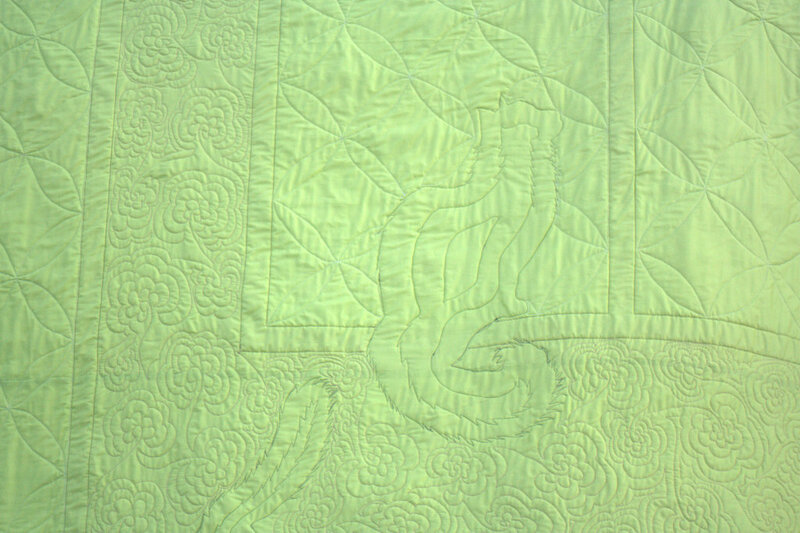 I’ve worked with Fat Quarter shop in the past during two separate quilt pattern blog hops: Layers of Charm and Welded, and they are also a big sponsor of the 1930s Farmer’s Wife Sew Along hosted by Angie at Gnome Angel, for which I’m an official blogger. Fat Quarter Shop has long been very supportive of independent bloggers. When they reached out to me wanting to sponsor my blog, I graciously accepted. They have a *really* extensive selection of fabrics that span from traditional to more modern. They stock gorgeously curated bundles of solids, some of which have matching Aurifil threads! The shop is searchable by color, which is always a good starting point in finding the perfect fabric for a project. They seem to have an endless supply of novelty fabrics, which helps tremendously with eye spy or any other themed quilts. 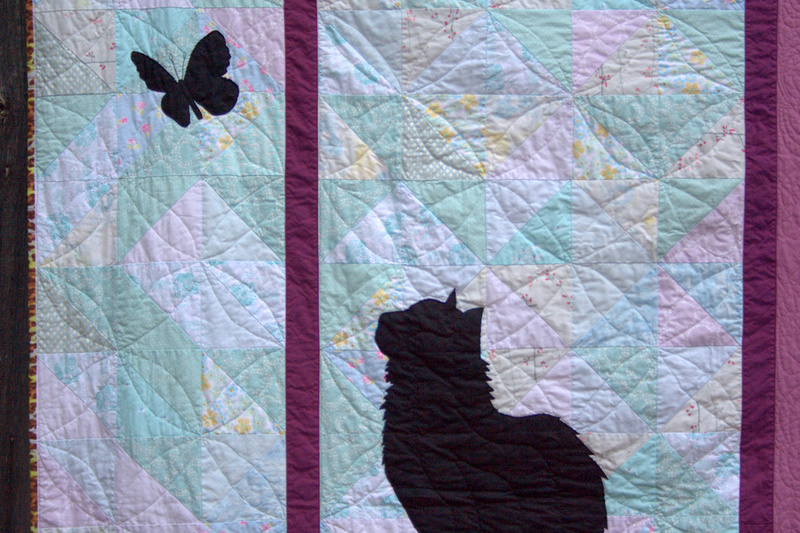 They have many free tutorials and patterns that are great for both quick projects and skill building, not to mention learning short cuts that can help in all future quilt projects. They have great sales including a 24 hour flash sale each day. Their customer service is always stellar. 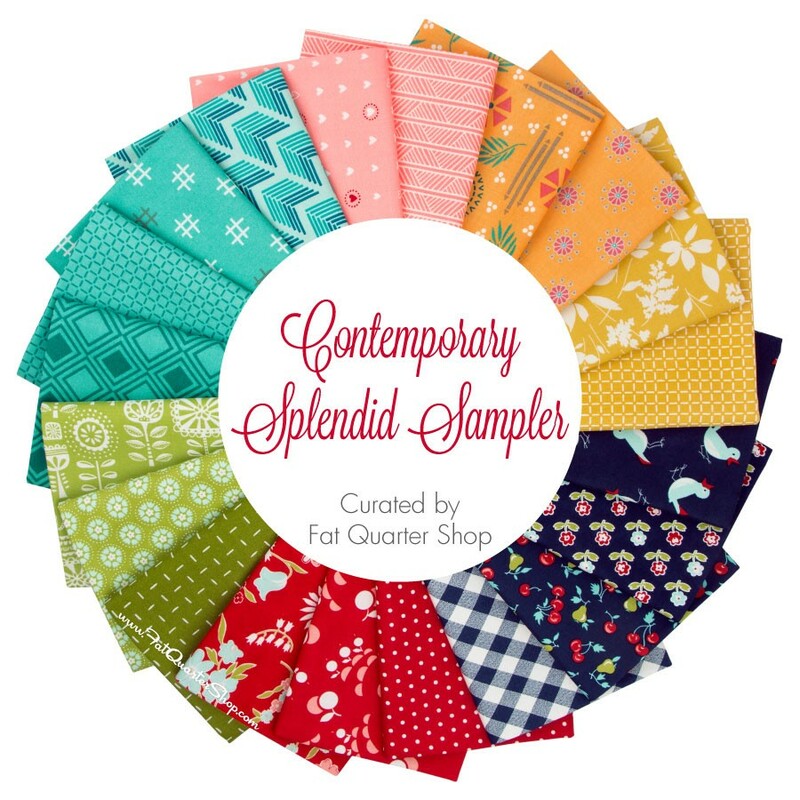 Fat Quarter Shop is generously offering a Contemporary Splendid Sampler Fat Quarter Bundle, consisting of twenty (20) gorgeous fat quarters by Moda Fabrics, to one of my readers. This is a great stash-building bundle (look at those teals! swoon! ), or perhaps a reason to jump in on the Splendid Sampler Sew Along by Pat Sloan and Jane Davidson. To enter the giveaway today, let me know your favorite fat quarter bundle offered by Fat Quarter Shop. You can peruse the selection HERE. Leave a comment and make sure I’m able to get ahold of you if you win. 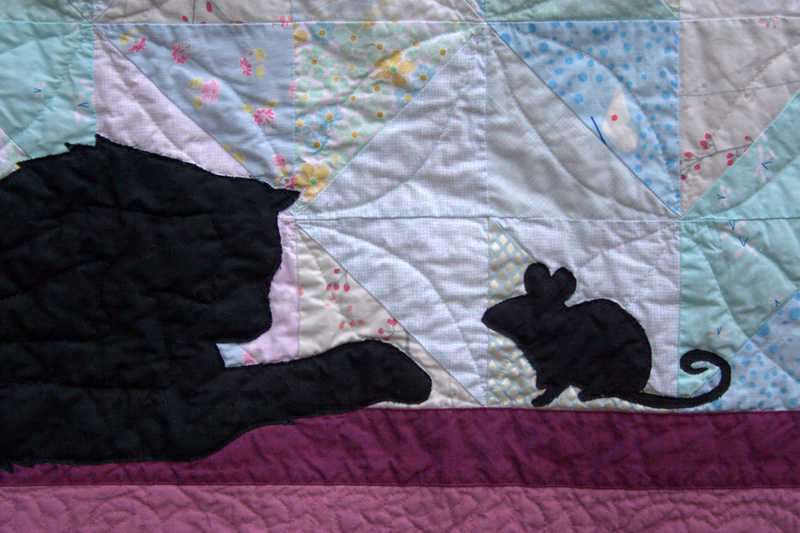 If you’re a follower of Night Quilter, leave a second comment telling me how you follow for a second entry. Tell me how you follow Fat Quarter Shop (facebook, twitter, Instagram, their blog Jolly Jabber, etc.) for a third entry. This giveaway is open to US and international participants. The giveaway will be open until 8pm Monday 2/29 when I’ll select the winner randomly with random.org. Good luck! Giveaway is now closed! Congratulations to Pam S.! I’m excited to introduce you to a new sponsor: Pile O’ Fabric. 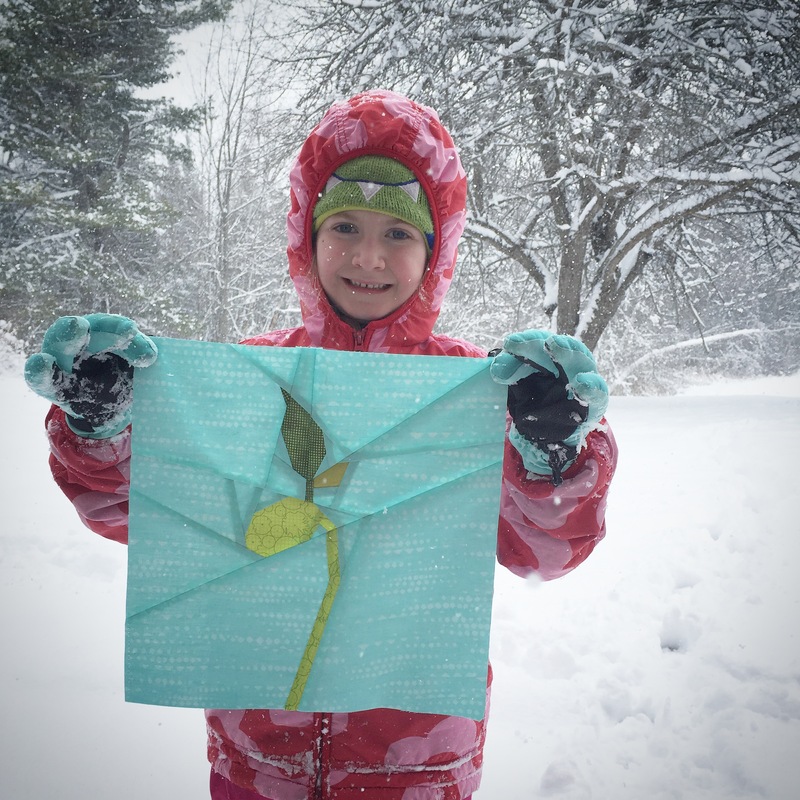 Many of you may be familiar with Pile O’ Fabric, an independently run modern sewing shop and blog by Alyssa Lichner. It is rare for me to find a shop in which I love ALL of the stocked fabric, but Pile O’ Fabric just may be such a shop. Curated bundles complete with both prints and solids. Life of the Botanist bundle at Pile O’ Fabric. You know me and color. I play with color palettes every week, so when I visit Pile O’ Fabric and see that the curated bundles include not only coordinating color palettes with matching solids, but ALSO a bundle of said coordinating solids, I swoon. Easy fabric search-ability based on different characteristics like color family, scale, and material in addition to manufacturer, designer and collection. 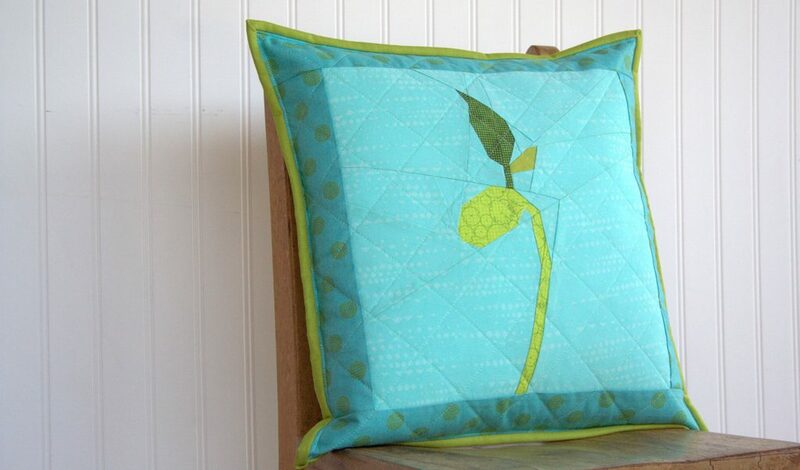 For example, you can search for all fabrics in a specific color family, including fun unique colors like pickle and persimmon, or you can browse only fabrics with large scale prints. This definitely makes it easier to find the perfect fabric for your project. A great selection of kits. Not only does Alyssa carry kits for her Skill Builder Block of the Month quilts–have you SEEN the Technicolor Galaxy Quilt for 2015! 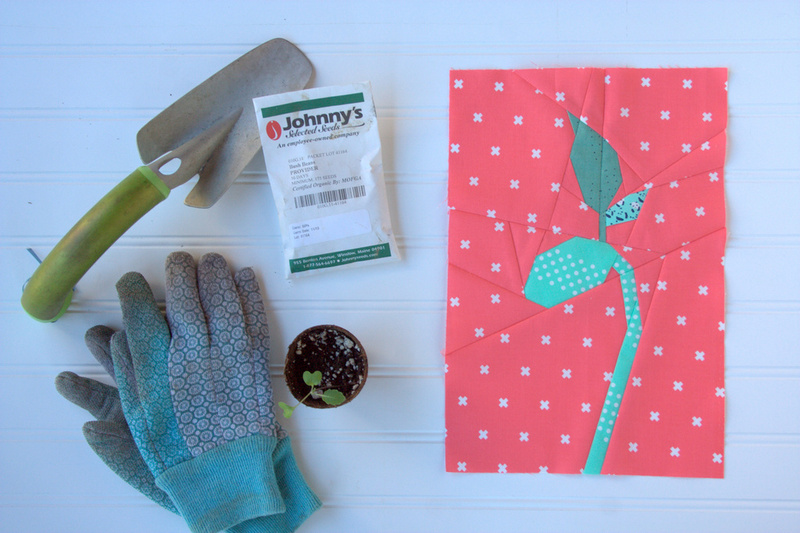 ?–but she also has kits to help get you started with a new craft, such as an English Paper Piecing Starter Kit, or make one of your favorite patterns, such as a Sew Together Bag. 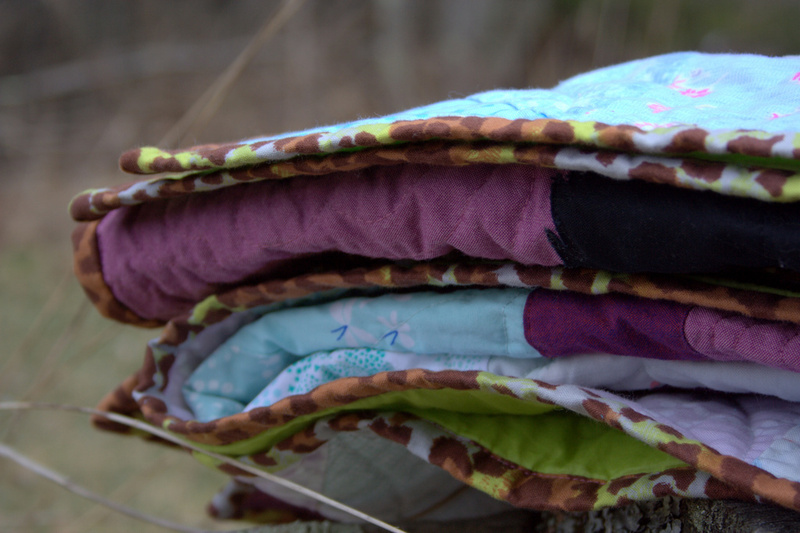 The Pile O’ Fabric blog also provides a great resource full of tutorials, patterns and inspiration. I’m thrilled to be partnering with Alyssa and Pile O’ Fabric, and definitely recommend checking out all her shop has to offer.